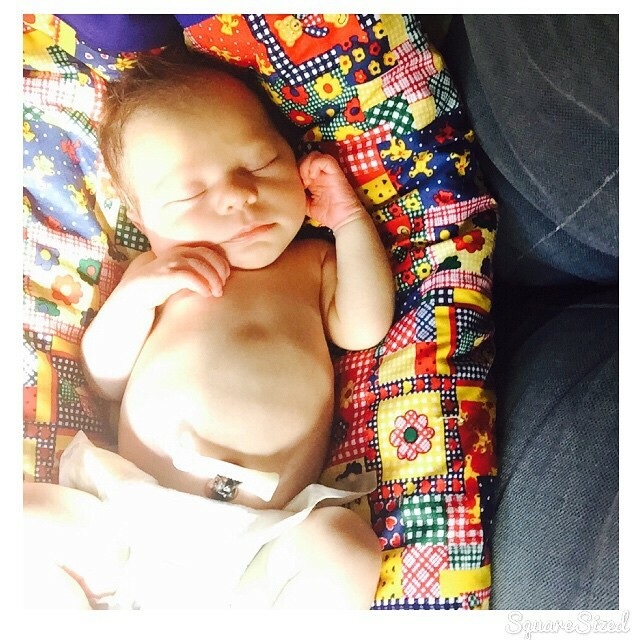 Wow – my first post, post baby! This article was always intended to be a bit of a walk through on having an induction at Geelong Hospital. Not in a TMI gory manner as many birth stories can be (and I really don’t think first time mums need to gorge on those kinds of stories! ), but as a practical person who researches everything from ‘how to get my baby to latch’ to ‘best cat vs squirrel videos of 2015’, I thought I would be able to walk you through. ‘Thought’ being the key word, as I was booked in for an induction at 11 days overdue, but not everything went to plan, so I’ll do my best. Firstly, you’ll need to be admitted by a doctor, at your ‘one week overdue’ appointment. They’ll request this to be done at 10 days over, and you’ll turn up to hospital at 3pm into Birthing Suite. After a routine ultrasound and heart beat monitor, if the midwives are happy they will go ahead an insert the prostaglandin gel. They describe it as like a tampon, but its more like a small flat white strip with a long tail, inserted behind your cervix. This is supposed to be like a ‘slow release’ to ripen and soften your cervix, and if all goes well you’ll head on up to the post natal ward, settle in for the night, and the following morning at around 6.30am – 7am they will break your waters and start you on the oxytocin drip to start contractions! OR .. if you’re like me, your contractions will start a few hours later and by midnight you’ll be in labor. Whoops. For a baby who really didn’t want to come into the world, she got a little impatient! She also interrupted my cup of tea, toast and Marie Claire reading.. When they ask you if you’re feeling tightening and you’ve got no clue what they’re talking about (like me) .. It just felt like waves of period pain. my own pregnancy story continued ..
After I went into labour and was moved back down to Birthing Suite, I was offered Pethidine which I had always thought I would say no to. I’d heard it makes you nauseous, and wanted to avoid it, but in the throws on contractions and being told you’re only 1cm dilated – you’ll take anything. They also mix it with an anti nausea medic. The Peth made me get a break in between contractions but I could still feel them when they rolled around. I managed to get a weird on/off sleep for two hours and then begged for more. To be honest, the next 3-4 hours are a bit of a blur, the pain and the peth really threw me around and before I knew it I was being told I was 5cm dilated,they’d broken my waters, inserted a hook into the babies skull to check her heartbeat closer (sounds terrible I know), but she was feeling distressed with every contraction – an emergency cesar was going to be necessary. But the time they rushed me down the theatre, I dilated another 3cm in the space of an elevator ride and was in the foetal position pushing with every contraction, without even meaning to – its amazing what the body does. The pain was next level, and my poor partner was helplessly trying to hold my hand. At 8cm dilated, they managed to get the spinal tap in, and within 10 minutes we heard the most incredible cry of our baby being born! So in a bit of part informative article on our local public hospital/part bragging about my own incredibly perfect tiny human being born, there you have it! Oh, and this is Evie Louise Stones, if you haven’t already seen her on TBB Instagram! PS Hollie the midwife, if you’re reading this, I can’t thank you enough for being an absolute champion of a person – as are nearly all of the other midwives on the ward. I’ve never met a bunch of people with better bedside manner in my life, and they’re incredibly over worked!